Rupert Pupkin Speaks: Favorite Underrated Comedies - Guy Hutchinson ""
Guy Hutchinson has worked as a radio talk show host and personality on WHWH and WMGQ radio in NJ and is currently the co-host of the 'Adventure Club' and 'Camel Clutch Cinema' podcasts. Over the years he has interviewed Bernie Kopell, Andy Richter, Bebe Neuwirth, Joe Camp, Robbie Rist and many other entertainment figures. A blogger since 2004, Guy blogs on bunchojunk.com and is the sole correspondent for the Ken PD Snydecast Experience. You can find links to all of his work on guyhutchinson.com. I put this one first, knowing it might scare away some people. If you are still reading, good! We don't need those other guys. They'll never understand the goodness of Good Burger and they probably wouldn't try. 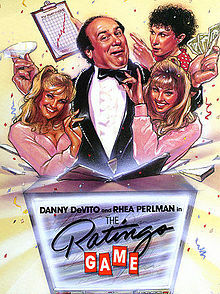 The film has a charming young cast contrasted by the delightful Abe Vigoda. 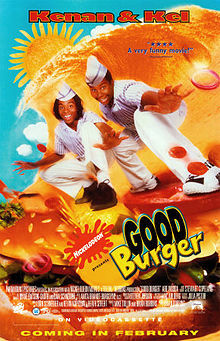 The premise is simple and stupid: a new burger chain arrives in town to put our heroes out of business. But I have shown this to people from age 8 to 80 and it has never failed to brighten everyone's day. Readers of this site probably know Mario "Cantiflas" Moreno from his delightful turn in Around the World in Eighty Days. Moreno was called the "Charlie Chaplin of Mexico" and really steals the show in that film. Here he takes center stage in a comedy about "going Hollywood." 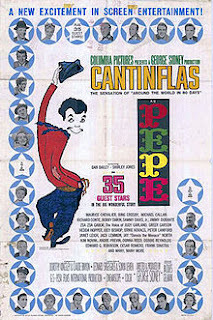 Much like It's a Mad, Mad, Mad, Mad World, this is a cameo filled film with stars as diverse as Frank Sinatra & Dean Martin to Ann B. Davis and Ernie Kovacs. The film parodies TV ratings and has some marvelous parodies within the film. 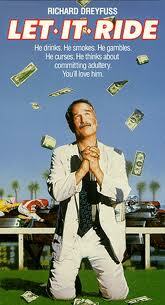 Richard Dreyfuss is hysterical as a loser who has a good day at the track. It's a great send up of the sport of horse racing (and gambling in general). 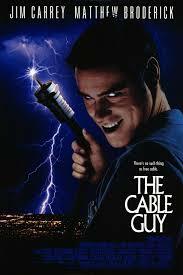 This film is a great time capsule. It was created because of the success of the radio show of the same named. It's full of great musical numbers and a funny cast of characters. 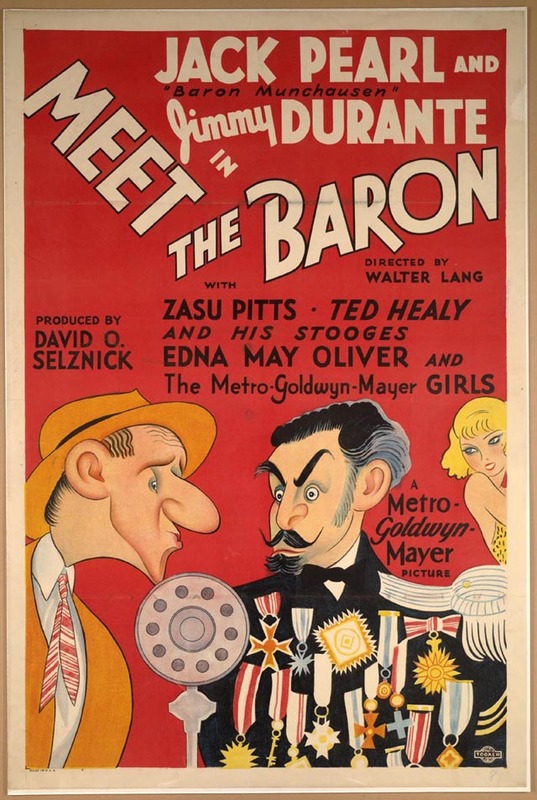 The film is public domain and very easy to find online. This Tony Curtis flick aims for laughs and tugs at the heart strings. It tells the story of a workaholic who gets stuck with a troublesome little girl. 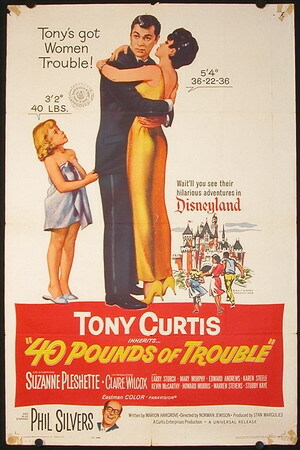 The film has lots of laughs and ends with a chase through Disneyland! 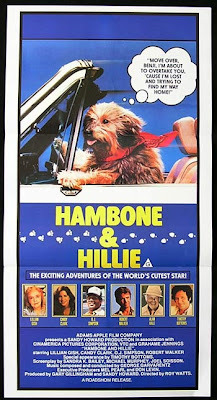 This very sweet comedy/drama tells of a dog trying to find his way back to his owner, Hillie (played by Lillian Gish.) 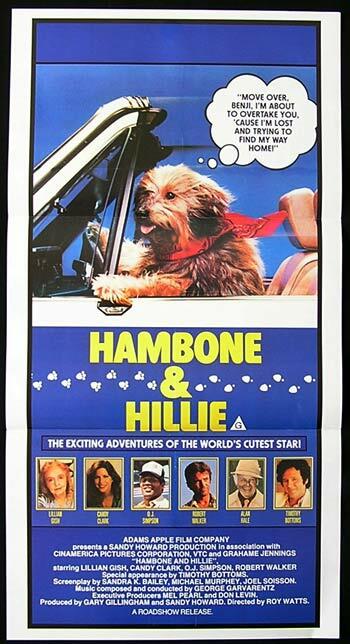 Along the way Hambone meets up with several familiar faces including Alan Hale Jr. and O.J. Simpson. It's a fun family film and will put a smile on your face. Phil Silvers shines in this stage production filmed for the movie screen. Originally shot in 3D (to give viewers the feeling of being IN a broadway theater) the film never feels flat even in 2D. Sadly, about 15 minutes of the film are apparently "lost" but the shorter version (which runs occasionally on TCM) is uproariously funny. 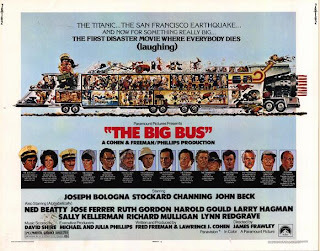 The disaster film genre of the 1970s is one of my favorites and this film manages to spoof the genre very well. 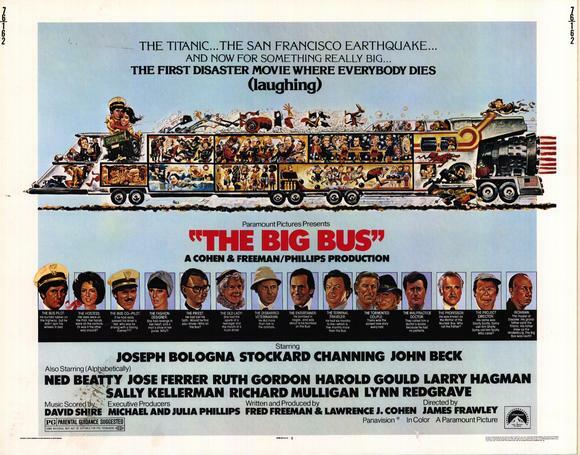 It's about a cross country trip on a enormous nuclear powered bus when things go awry. Think Titanic... but on a bus. Joe Pesci and Christian Slater are great in this comedy about a vigilante who wants to clean up Hollywood so it can be like it was in the "golden age". This film holds a special place in my heart because it was the first film I remember seeing in the theater. 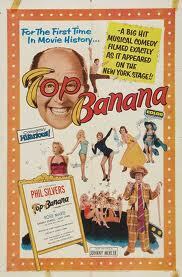 It's a rip off of It's a Mad, Mad, Mad, Mad World, but it rips it off well. It features appearances from Cloris Leachman, Cleavon Little, Roddy McDowall, Dirk Benedict, Willie Aames, Tony Randall, Scatman Crothers, Richard Mulligan, James Coco, Stephen Furst, Avery Schreiber, Arnold Schwarzenegger and Meat Loaf. Silliness abounds in this Jack Pearl film. It features tons of silliness with Jimmy Durante, The Three Stooges (with Ted Healy) and Zasu Pitts. Also of note, the Stooges key sequence is a rather racy (pre-code) scene in a woman's shower. 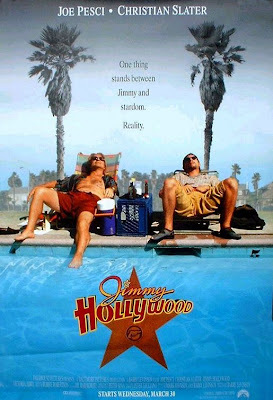 This Jim Carrey film seemed like a flop when it came out, but that was more due to the immense wave of popularity Carrey was riding at the time. 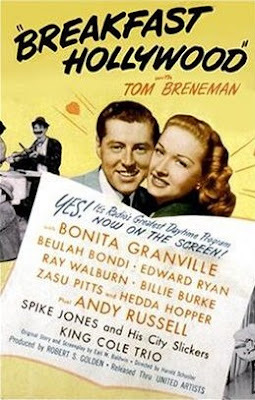 This film was actually a modest hit, but wasn't the type of film many audience members wanted. It's a silly, dark comedy that hits all the right notes and has a killer soundtrack. Bob Hope and Jackie Gleason shine in their only film together. 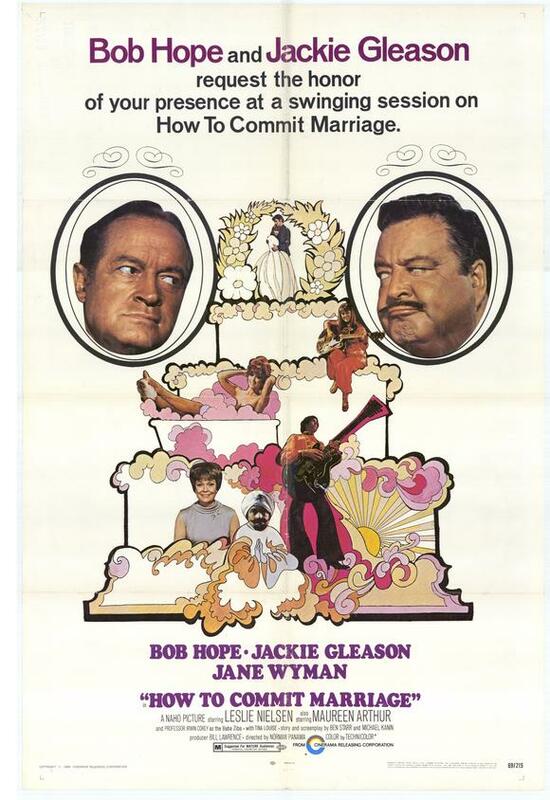 Hope and Gleason play feuding potential "father-in-laws" in this satire of marriage and divorce. 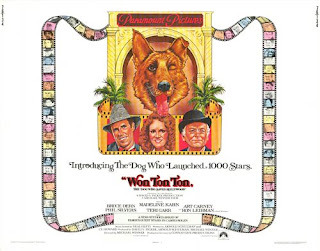 This send up of Hollywood tells the story of a dog that became a star. 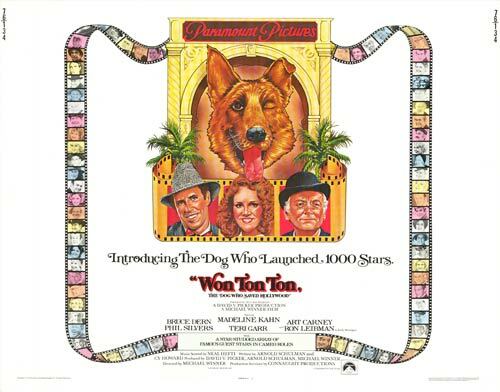 Won Ton Ton (think Rin Tin Tin). The film features a final look at many Hollywood greats, including George Jessel, Stepin Fetchit, Rudy Vallee and Ann Rutherford. 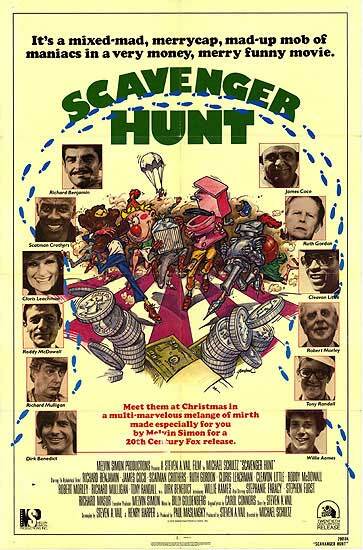 Somehow I missed commenting on this one, but I wanted to say that Scavenger Hunt is a personal favorite.